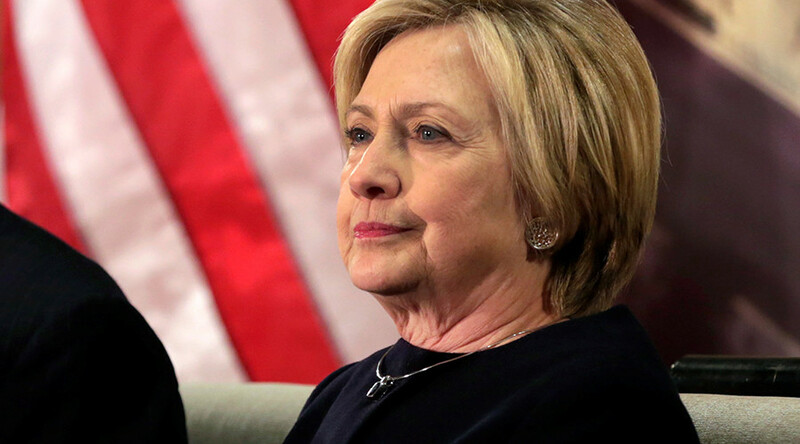 It seems Hillary Clinton is keen to return to the public sphere after her presidential election defeat with a new book scheduled for release in the fall of 2017, promising readers detailed insights into her fight for the White House against Donald Trump. The book will feature a collection of essays based on the quotes the former secretary of state has used to get through political and personal hardships throughout her life, including her election defeat by Donald Trump last year. “These quotes have helped me celebrate the good times, laugh at the absurd times, persevere during the hard times and deepen my appreciation of all life has to offer,” Clinton said in a statement, adding that they will serve as "jumping off points for reflections on the future." “I hope by sharing these words and my thoughts about them, the essays will be meaningful for readers,” she added. It hasn’t been revealed how much the publishers, Simon & Schuster, are paying Clinton for the book, nor what it will be titled. Hillary should title her book of essays “But Her Emails." Author Ed Klein, who has written a number of critical books about Bill and Hillary Clinton, reported that the 2016 presidential candidate also has plans for a television career, with a show like Ellen or Oprah, which would be a way to ready a 2020 election run. Clinton has not commented on the rumors.